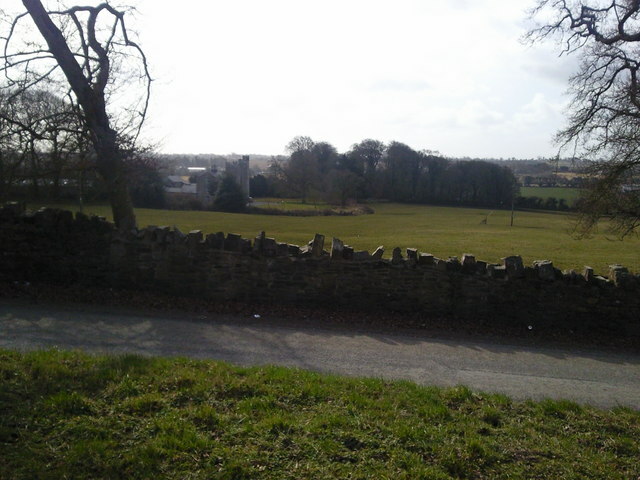 Landscape view which includes Screen Castle (usually spelt Skryne Castle), Co Meath. A motte and bailey here was built by the De Phipo family who arrived at the time of Norman invasion of Ireland. The castle replaced it, and is still lived in.